We manufacture a comprehensive range of pre fired, precast shapes for all aluminum cast-house applications with the latest technologies available, all while striving to be green to the enviroment. 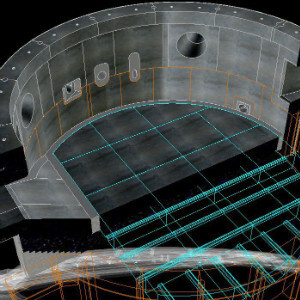 Our E & D Team is experienced at problem solving, whose main goal is to provide rapid engineering and design for a wide range of precast refractory shapes and molten metal handling systems. 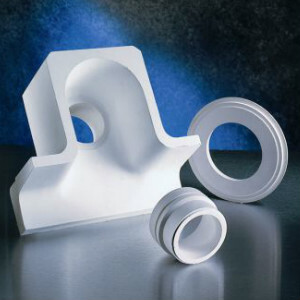 Need a quote for a new part? 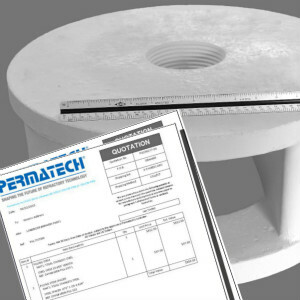 All we need is a drawing with the pertinant information to provide an accurate and consistent quote for your new refractory or steel manufactured part. We are an experienced team with proven success and wide range of expertise. Our engineers, developers and quality specialist are on call. When you need ready to install aluminum molten metal systems to hit the ground running. Always in a relentless pursuit of process and product improvement. We are dedicated to safety, quality, and value for our customers. Disciplined quality programs insure the highest level of dimensional and cosmetic specifications are met. We are ISO 9001:2008 certified for quality management systems. We deliver when we say we do with confirmation at Sales Order. We can deliver whether by land, air or sea - via ExWorks, CIF or as needed. Our sales partners and representatives are available worldwide.